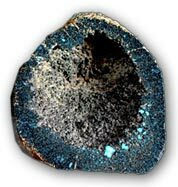 My relationship with Lander Blue turquoise started years ago when I first began to hear stories of this small classic Nevada turquoise mine: how the mine was found, the small amount of turquoise that the mine produced and the incredible beauty of the turquoise. The Lander Blue mine, discovered and claimed in 1973, was a very rich turquoise pocket. It has been referred to as a “hat mine”, a term used to describe small floats of turquoise because they could be “covered with a hat”. Less than 110 pounds of this beautiful spider-web turquoise was ever mined. Today, because of its rarity and value, there seems to be more Lander Blue for sale than was ever mined. When you buy my Lander Blue turquoise from you are buying directl y from the owner of the Lander Blue mine. Every Lander Blue cab and item of jewelry comes with a ‘Certificate of Authenticity’. 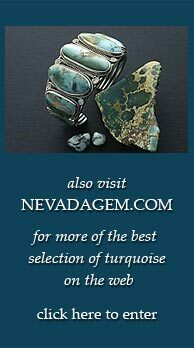 Now it’s your chance to see this beautiful collection of Lander Blue and to own a piece of history from Nevada’s rarest and most valuable turquoise mine. Click to preview our Lander Blue Turquoise and Jewelry Selection.